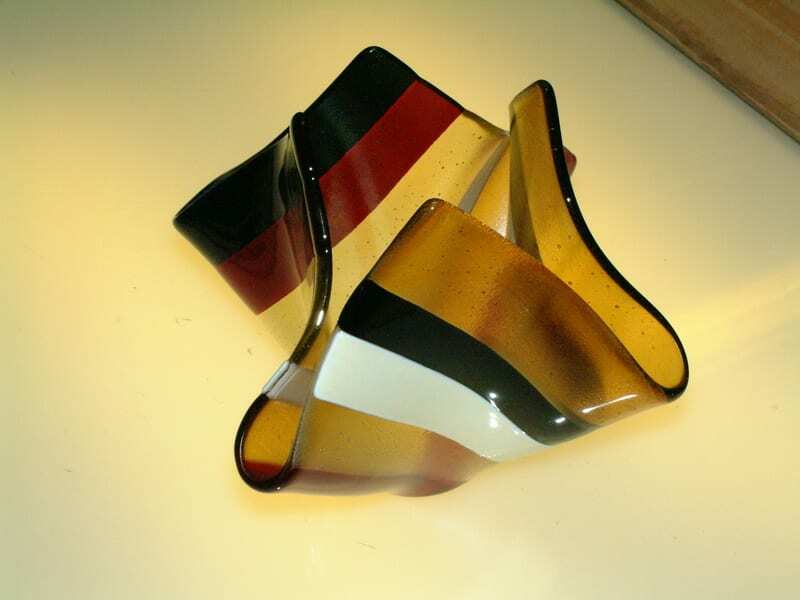 One of the most common techniques in kilnformed glass is the technique of “slumping”. This is the process of placing a piece of glass in a mold, and heating it hot enough and long enough for it to droop down and conform to the shape of the mold. 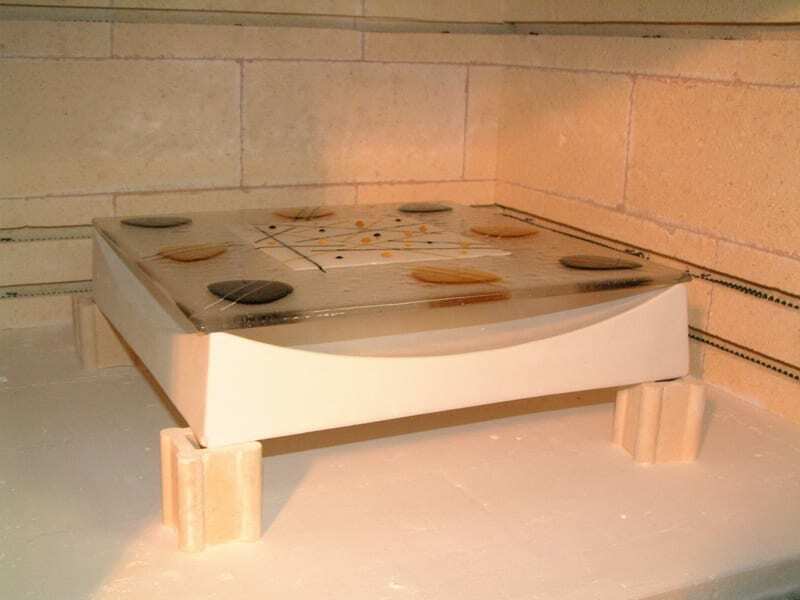 It is usually the last trip through the kiln for a project. 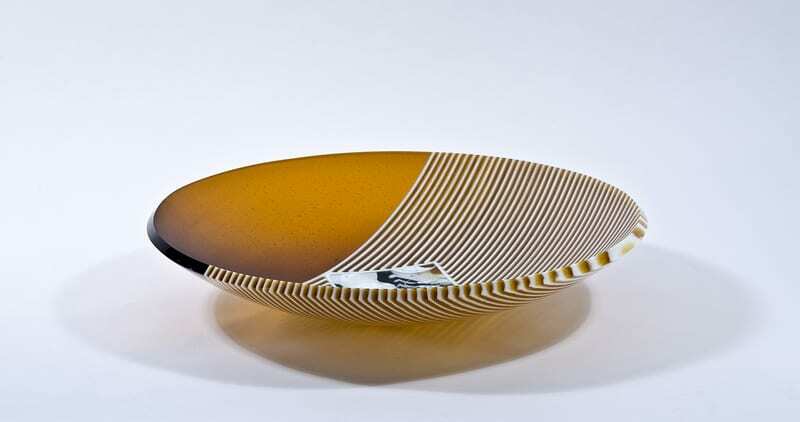 The first firing would be to fuse the glass. An optional second firing would be for a firepolish if needed. The third and final firing would be to slump. Each of these firings would be at progressively lower temperatures. For example, one might fuse at 1500F, firepolish at 1390F and slump at 1180F. If the glass is drooping into an object – it is called slumping. Molds can be made of many different substances. The main issues regarding choosing a material for a mold is that it not explode, crack, melt, or burst into flames at slumping temperatures, and that it be able to be prepared such that it will not stick to the glass. Almost any object that meets the above criteria is fair game for a mold – but the most common items used are ceramic molds, stainless steel molds, or refractory fiber materials. Many molds are commercially available to meet the needs of the kilnformer, and on the links page some of these suppliers can be found. Bullseye Glass Company makes some of the finest quality molds and are highly recommended – as are their kiln shelves – and, of course, glass. Slumpy’s has lots of interesting molds. If it is bending over an object it is called “sagging” or “draping”. When draping, you want to use something that will shrink more than the glass, such as stainless steel, so the mold is not trapped in the glass. As ceramic materials cool, they end up shrinking less than glass. As metal cools, it shrinks more than glass. And, on the basis of this, in general, one would slump into ceramic, and drape over stainless steel (as in the photos above). The reason for this is that if one drapes over something ceramic, the glass will trap the ceramic material within the glass, or possibly crack, as it tries to shrink more than the ceramic mold will allow. Whereas, if you drape over stainless steel, the steel will shrink more than the glass and allow the glass to slide away easily. If a mold is very flat or shallow, such that glass will not be trapped this is not an issue. 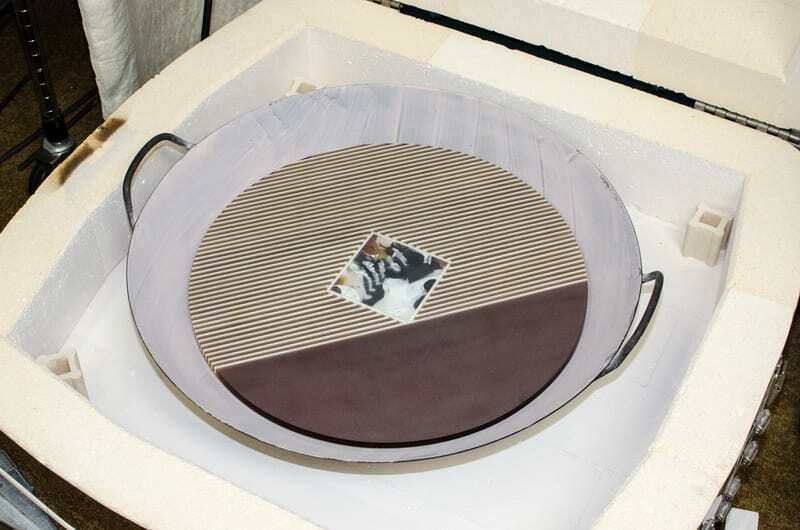 That is why you will find bowl molds in both stainless steel or ceramic that can be slumped into. 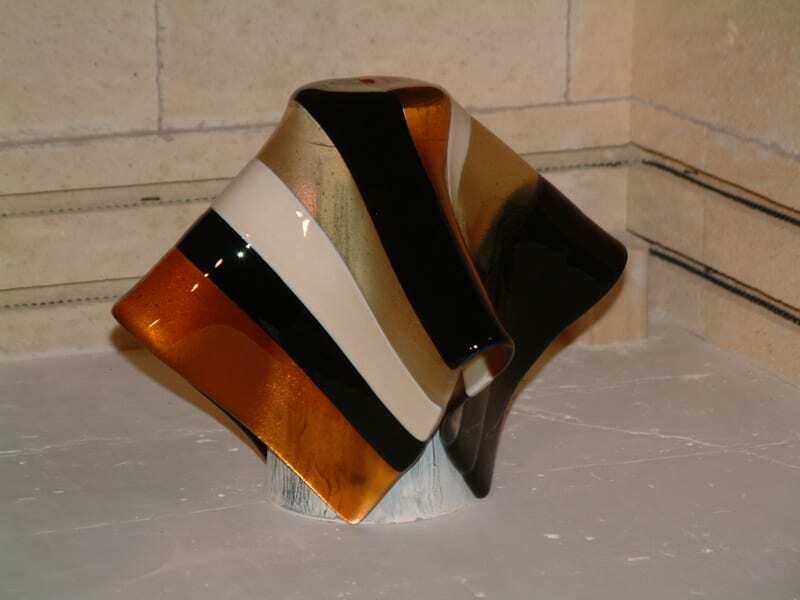 It is also possible to place fiber padding between the glass and the mold to give some cushioning between the two objects and allow draping over ceramic or into metal. Whatever mold material is used, it is important to coat it with a layer of kiln wash (shelf separator, shelf primer, etc) or fiber paper or Thinfire™ paper to prevent the glass from sticking to the mold during the slumping process. 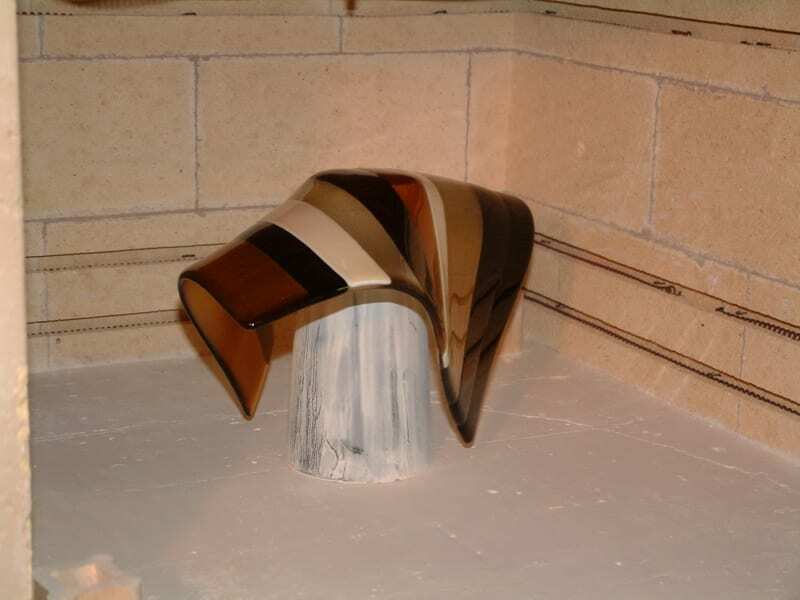 The particular method of applying the kiln wash will depend on the mold material. For ceramic molds, it can usually be just brushed on and allowed to dry. Metal surfaces may require spraying, and also may require sandblasting the metal surface first and/or may require that the metal be heated so that the kiln wash dries immediately without dripping. Usually if 5 or 6 coats are applied before the first use of the mold, they may not need to be reapplied for a long time, if ever. Most molds will have holes in the most dependent areas to allow air to escape as the glass moves down in to the mold. Make sure that you clean these holes out after applying shelf primer. If necessary, additional holes can be drilled with a small drill bit. Note that some metals will spall or flake when heated, leaving a rough surface. Stainless steel resists this, and is therefore a better metal to use as a mold. If you choose an object as a mold made of a metal other than stainless steel, make sure that it’s melting point is above the temperature you plan to use. For example, aluminum melts at 1221F and copper at 1984F, while stainless steel melts at 2750F. The first two would not make good mold material. 1. If you are slumping a project that was fused first, you will usually need to slow the ramp up to slumping temperatures as compared to the first fuse firing. How slowly you have to go will depend on the thickness of the glass, the uniformity of the thickness, the shape, and the distance from the ceiling elements in the kiln. For most projects this initial ramp up to 1000F will vary from 50 dph-300 dph. Obviously, slower is safer. 2. A hold at about 1000F is a good idea to make sure all the glass has equilibrated at 1000F and is no longer susceptible to thermal shock. But, it is also acceptable to have a steady rise in temperture to your full slumping temperature with no hold. The thicker the glass, the more useful a hold will be. 3. The ramp up speed from 1000F to your top slumping temperature is variable. In some situations you want this to be fast (600 dph) and in other situations you want to slow down. If you are having problems with pieces slumping crookedly – try slowing this down. I’ve even gone as slow as 50 dph. 4. You want to use the lowest top temperature that you can. Higher temperatures have a tendency to create problems. 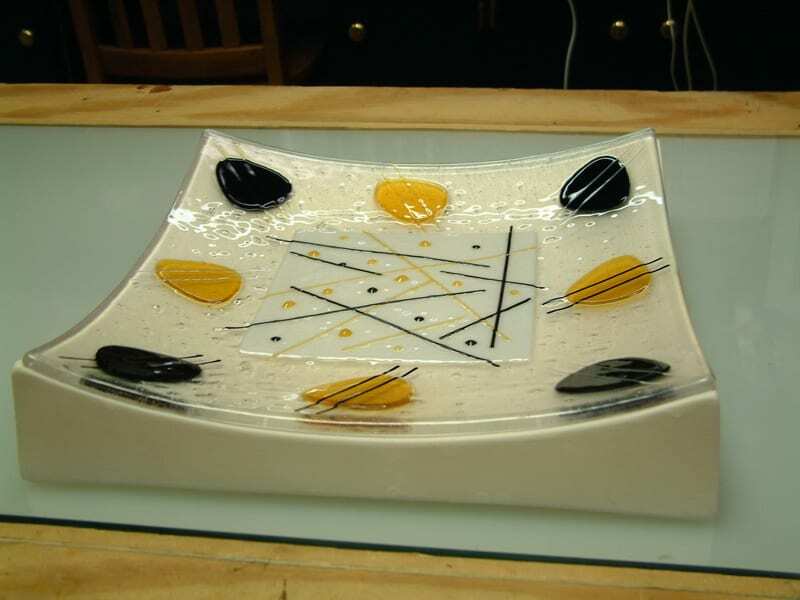 The temperature that you use will be dependent on the dimensions of the piece, the thickness of the piece, the shape of the mold, the color of the glass, and your particular kiln. It is important to keep records of your firings, so you can reproduce or modify your results based on your previous experiences in your kiln. It is not a good idea to try to firepolish and slump in the same firing. 5. The length of time you hold at the top temperature is variable also. There is a relationship between how hot you fire, and how long you need to hold. Slumping at lower temperatures will take longer than higher temperatures – but may make the slump more even and symmetrical. This top slumping temp may be between 1100 and 1200F for a bowl mold, but as high as 1325F in a shallow mold with inside corners. 7. In the process of slumping, you may be able to have an effect on the appearance of the surface of the glass. In particular, if you want a satin finish you can sandblast before slumping, and the slumping process my seal the surface of the blasted glass such that it is a nice matt or satin texture and will not retain fingerprints. You may have to experiment with the proper temperature and hold to give you the appearance you desire. So, even though slumping at, for example, 1180 F for 15 minutes might be adequate for slumping – you might want to hold it there for 40 minutes to get the finish you want. Again, keep careful notes so once you figure out what works in your kiln you can reproduce it. A stainless steel wok can make an excellent bowl mold. 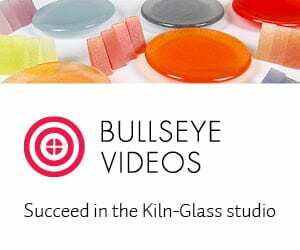 If you are a kiln glass artist, and are interested in one of the best and most cost effective methods of learning both basic and advanced techniques, the Bullseye Kiln-glass Education Online video lessons are fantastic. Click on the link above to see the free ones, and consider signing up for the rest.